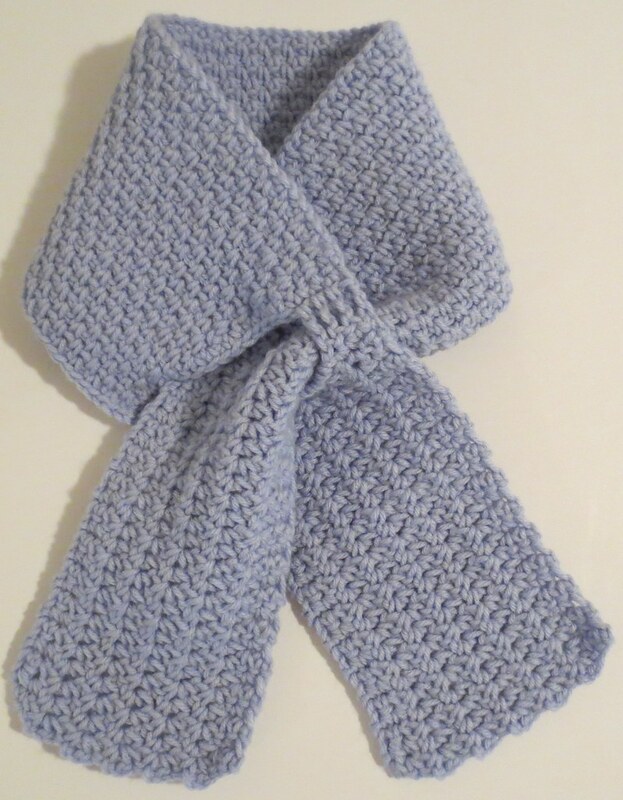 I crocheted this keyhole scarf using the Ashlyn Scarflet pattern. This is a free crochet pattern found over at Craftybegonia’s blog with the scarflet pattern found here. 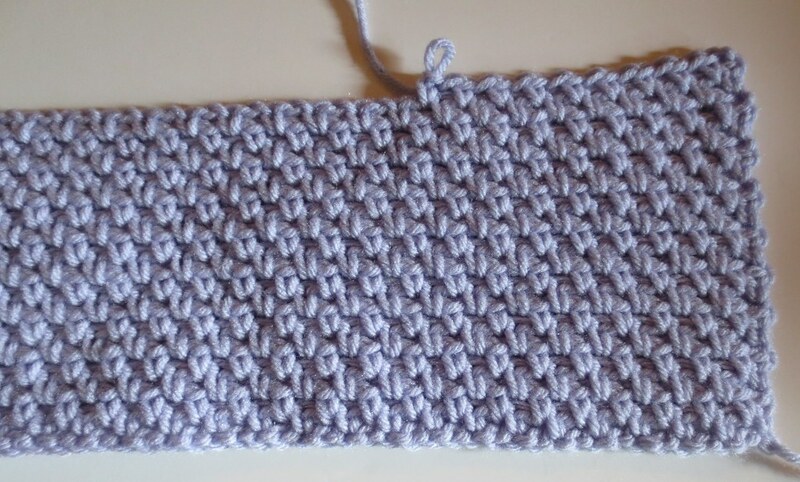 The pattern stitch is very pretty and here is a closeup of the scarf end area. I used 3.6 ounces of worst weight yarn to complete the scarf as I did a few extra rows on the decorative ends to make it a bit longer. I used a H (5 mm) crochet hook on my project. The finished length of my scarflet is about 38 inches long by 5-1/4 inches wide. One correction I did find was on second side at end of row 1, I believe should be only Ch 1, turn; rather than Ch 4. Also on row 3, I repeated row 2 of the Urchain Stitch in each Ch 2 space by working 1 SC, Ch 2, 1 SC in the space.